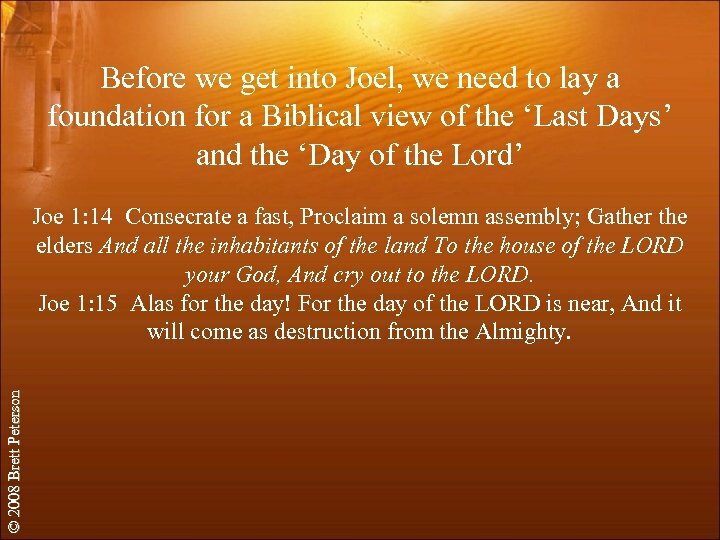 Before we get into Joel, we need to lay a foundation for a Biblical view of the ‘Last Days’ and the ‘Day of the Lord’ © 2008 Brett Peterson Joe 1: 14 Consecrate a fast, Proclaim a solemn assembly; Gather the elders And all the inhabitants of the land To the house of the LORD your God, And cry out to the LORD. Joe 1: 15 Alas for the day! For the day of the LORD is near, And it will come as destruction from the Almighty. © 2008 Brett Peterson Joe 2: 1 Blow a trumpet in Zion, And sound an alarm on My holy mountain! Let all the inhabitants of the land tremble, For the day of the LORD is coming; Surely it is near, Joe 2: 2 A day of darkness and gloom, A day of clouds and thick darkness. As the dawn is spread over the mountains, So there is a great and mighty people; There has never been anything like it, Nor will there be again after it To the years of many generations. 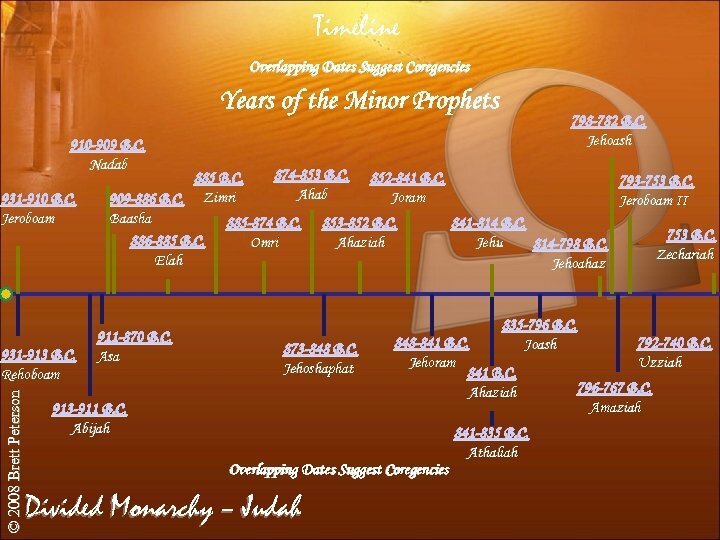 Much of the next 10 Minor Prophets is about the end times. Times, it appears, in which we live. © 2008 Brett Peterson Dan 12: 3 "Those who have insight will shine brightly like the brightness of the expanse of heaven, and those who lead the many to righteousness, like the stars forever and ever. 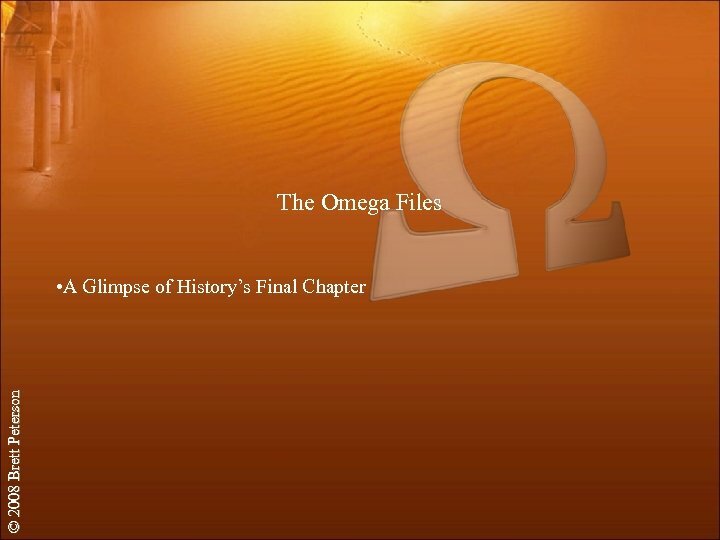 4 "But as for you, Daniel, conceal these words and seal up the book until the end of time; many will go back and forth, and knowledge will increase. " 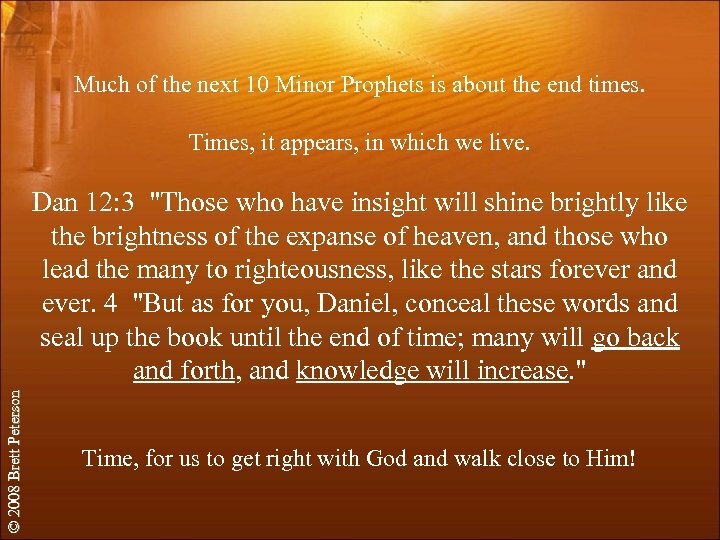 Time, for us to get right with God and walk close to Him! © 2008 Brett Peterson Joe 2: 12 "Yet even now, " declares the LORD, "Return to Me with all your heart, And with fasting, weeping and mourning; Joe 2: 13 And rend your heart and not your garments. " 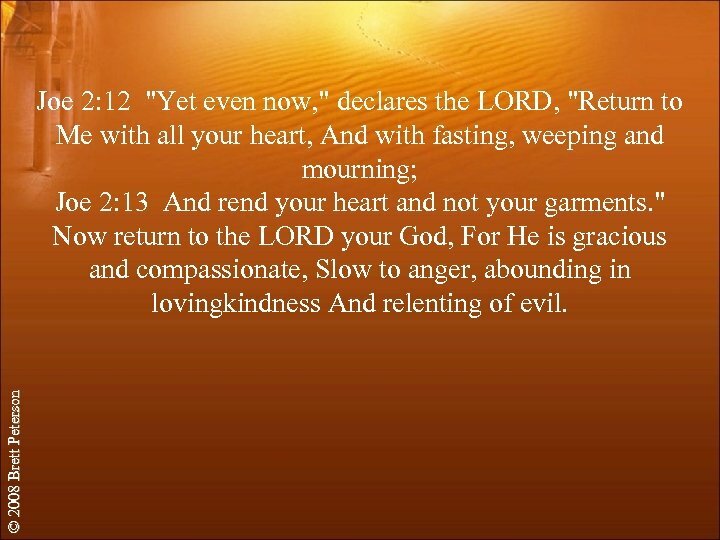 Now return to the LORD your God, For He is gracious and compassionate, Slow to anger, abounding in lovingkindness And relenting of evil. 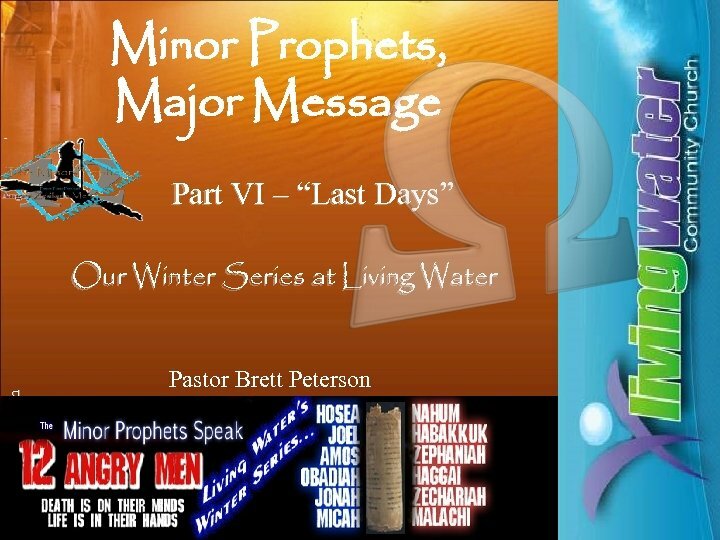 © 2008 Brett Peterson Joe 2: 28 "It will come about after this That I will pour out My Spirit on all mankind; And your sons and daughters will prophesy, Your old men will dreams, Your young men will see visions. 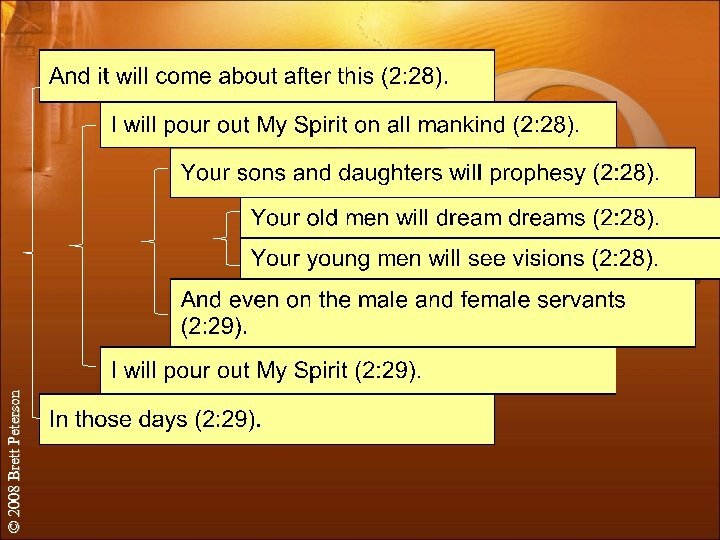 Joe 2: 29 "Even on the male and female servants I will pour out My Spirit in those days. 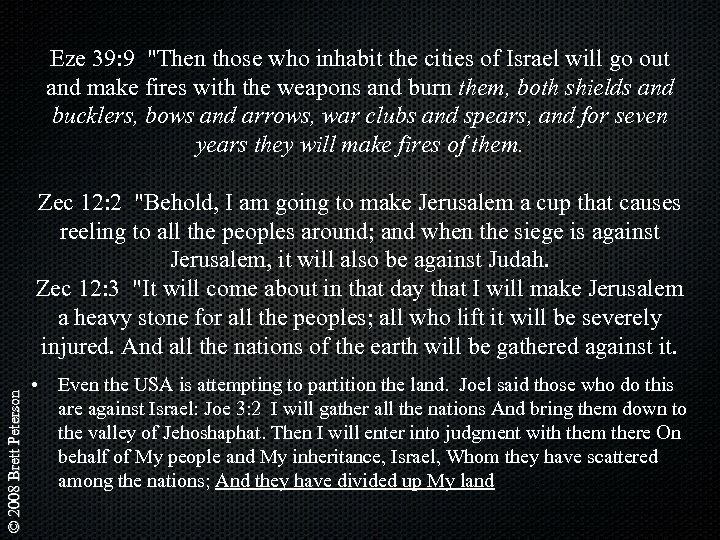 Joe 2: 30 "I will display wonders in the sky and on the earth, Blood, fire and columns of smoke. Joe 2: 31 "The sun will be turned into darkness And the moon into blood Before the great and awesome day of the LORD comes. 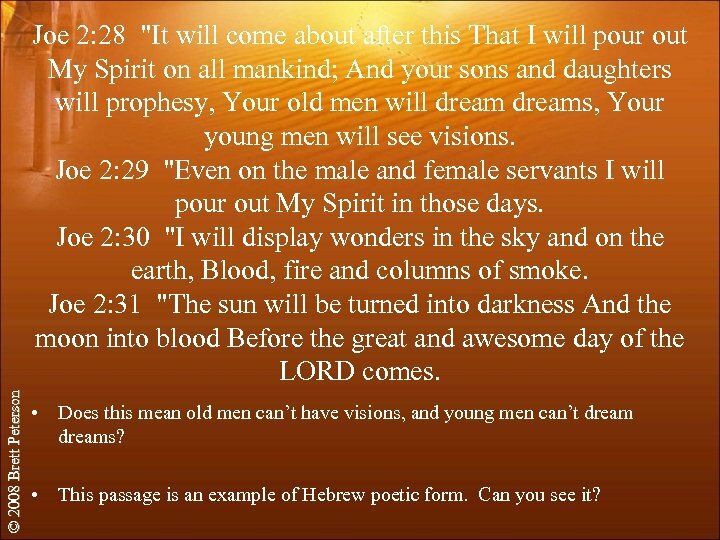 • Does this mean old men can’t have visions, and young men can’t dreams? • This passage is an example of Hebrew poetic form. Can you see it? 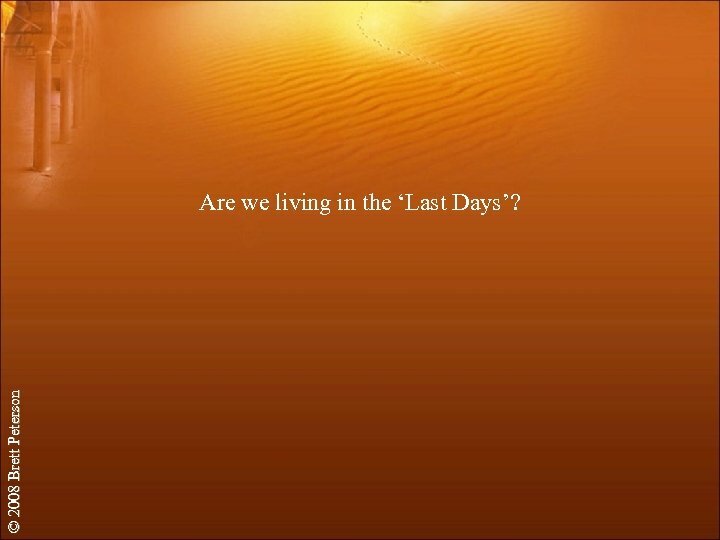 © 2008 Brett Peterson Are we living in the ‘Last Days’? 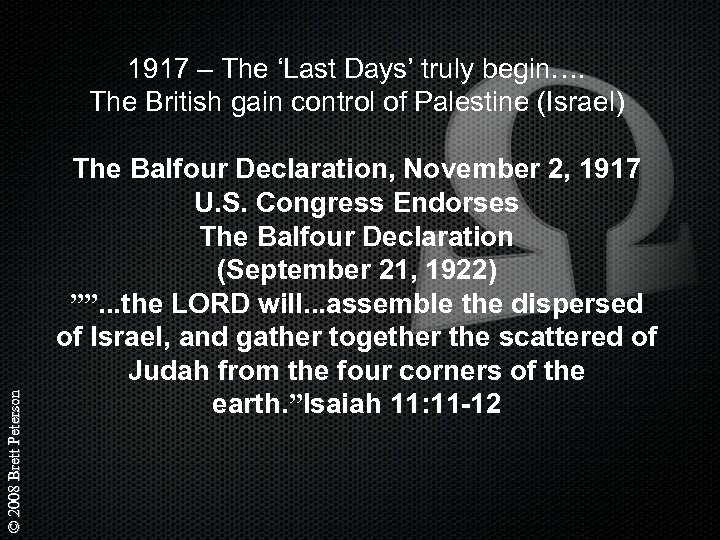 © 2008 Brett Peterson 1947 AD The UN voted to end British control of Palestine and to divide/partition the country into a Jewish and Arab state. 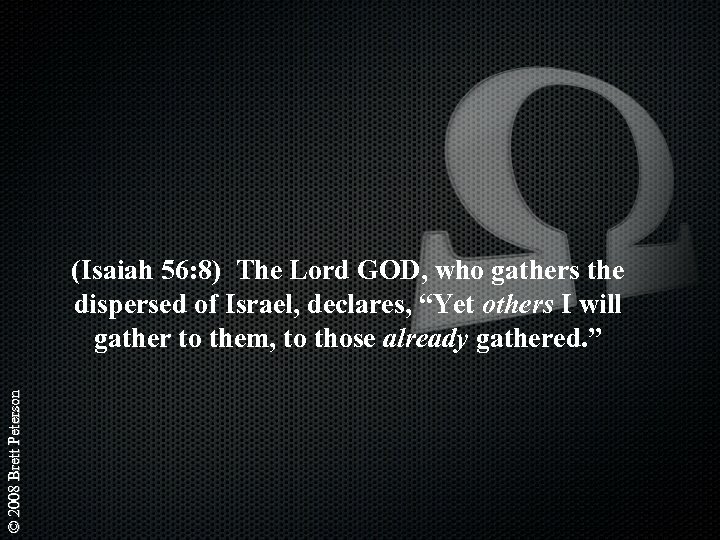 © 2008 Brett Peterson In Joel 3: 2, the prophet said that the nations of the world will be judged for having scattered the people of Israel and for having “divided up” (or “parted” or “partitioned”) the land of Israel. 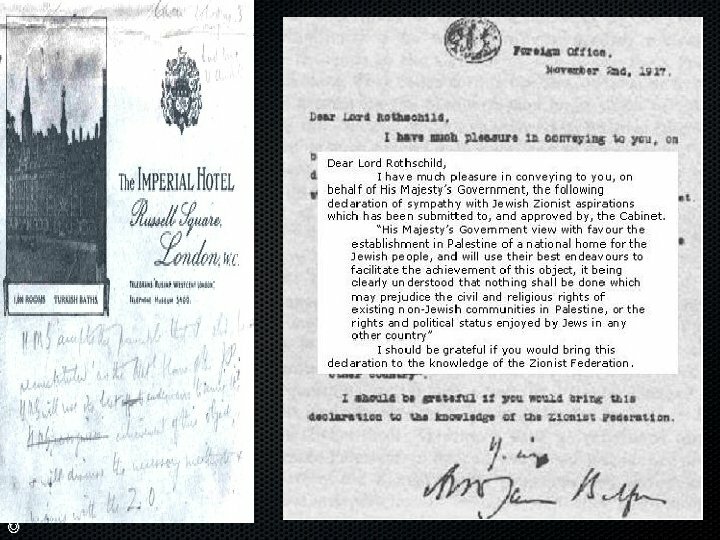 On November 29, 1947, when the United Nations General Assembly approved a motion to partition the land, which at that time was called “Palestine. 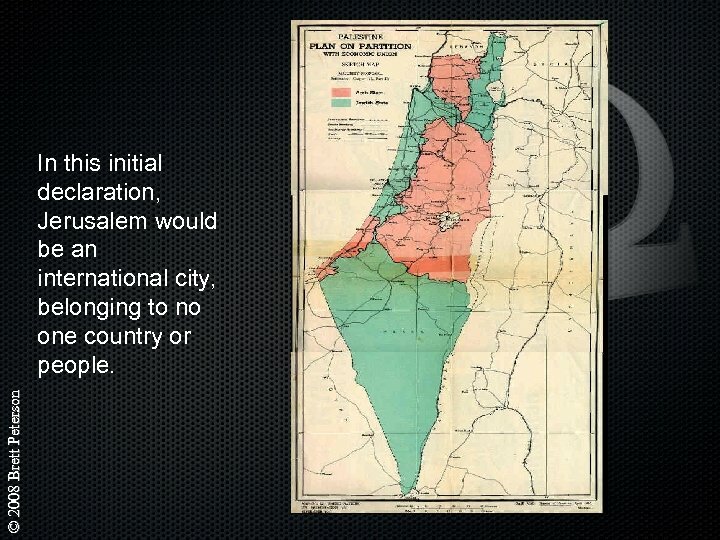 ” The partition plan divided the land into two separate states, one for Jewish people and another for Arab people. © 2008 Brett Peterson In this initial declaration, Jerusalem would be an international city, belonging to no one country or people. 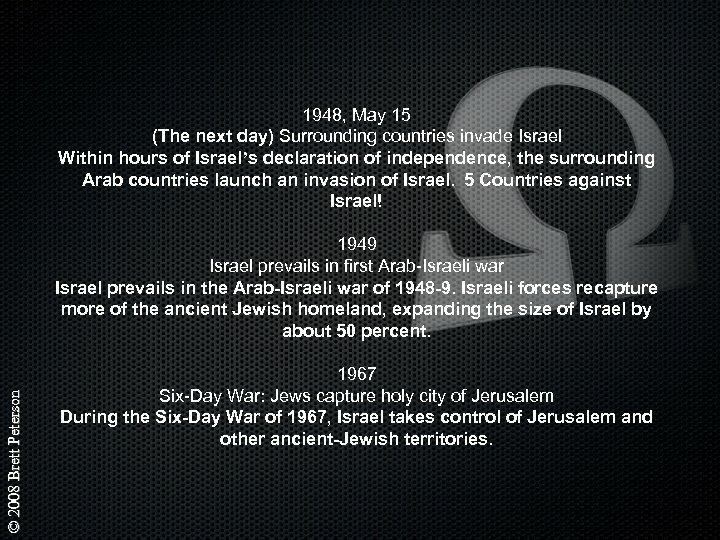 1948, May 15 (The next day) Surrounding countries invade Israel Within hours of Israel’s declaration of independence, the surrounding Arab countries launch an invasion of Israel. 5 Countries against Israel! 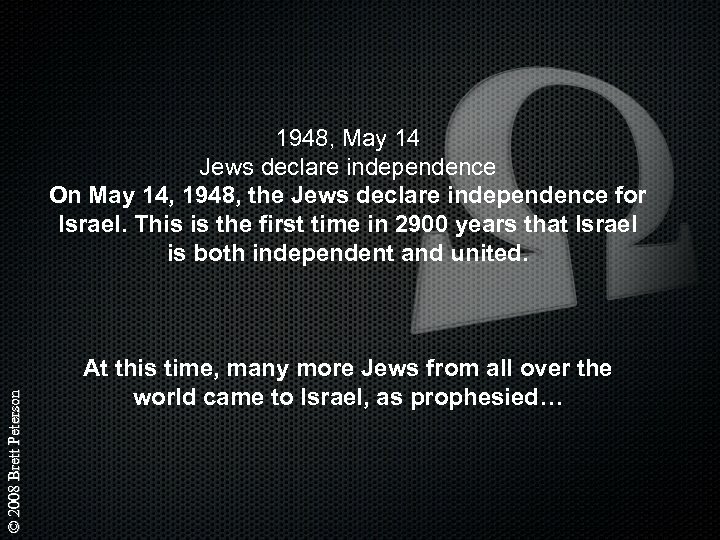 © 2008 Brett Peterson 1949 Israel prevails in first Arab-Israeli war Israel prevails in the Arab-Israeli war of 1948 -9. 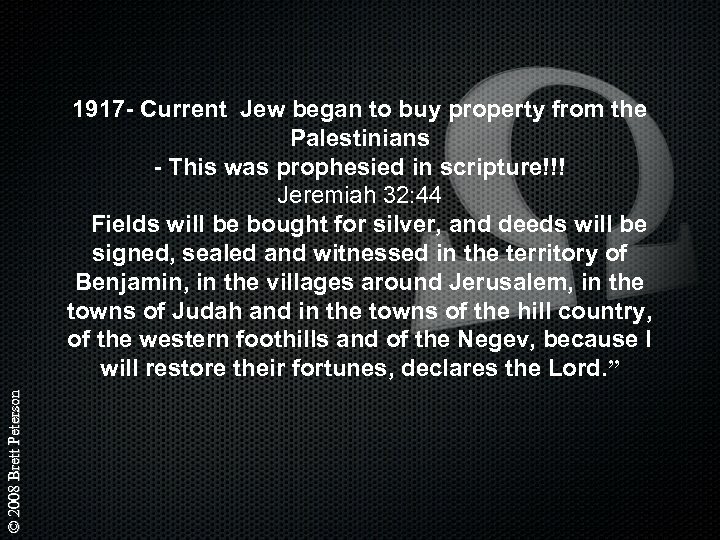 Israeli forces recapture more of the ancient Jewish homeland, expanding the size of Israel by about 50 percent. 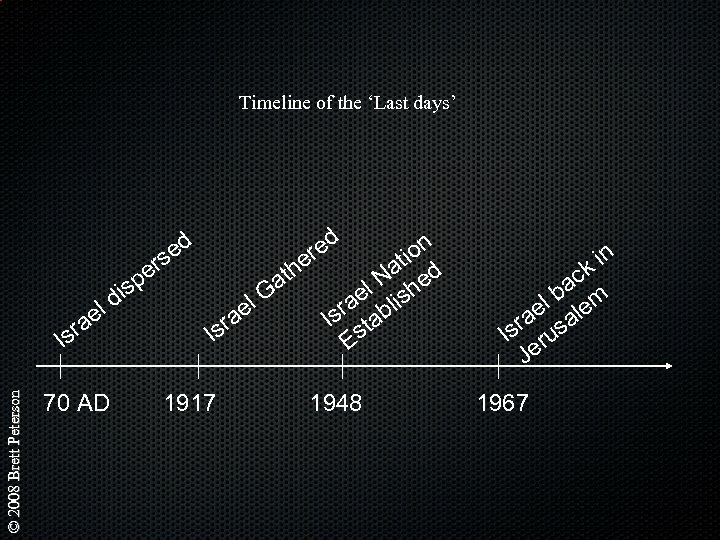 1967 Six-Day War: Jews capture holy city of Jerusalem During the Six-Day War of 1967, Israel takes control of Jerusalem and other ancient-Jewish territories. Syria is also threatening Israel and supporting the terrorists who are waging Jihad on them. 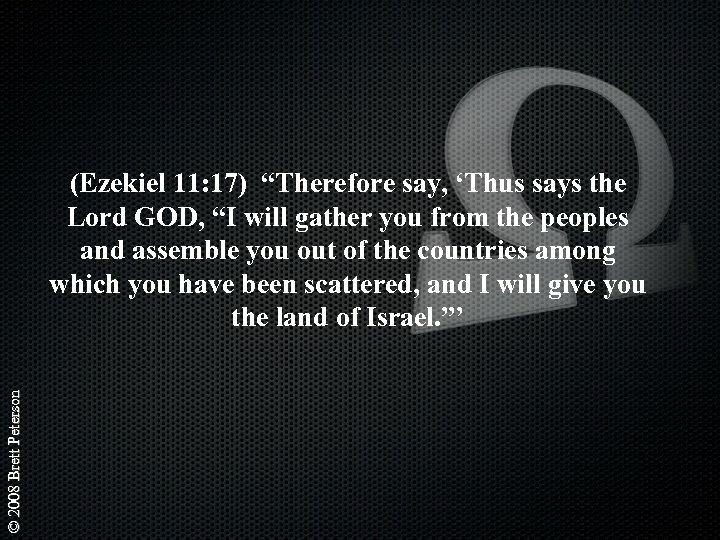 © 2008 Brett Peterson Amos 1: 3 -5 States that Syria will come against Israel four times, and then will be made desolate. 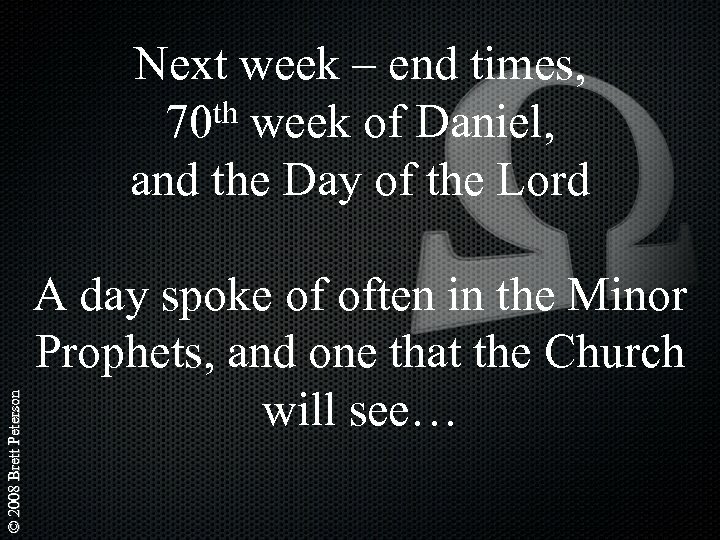 These occurred in: 1948 (1 st) 1967(2 nd) 1973(3 rd) and the 4 th appears that it could happen at any time! Damascus is the capital of Syria. It is the oldest perpetual city in the world! It is over 5000 years old! © 2008 Brett Peterson Is. 17: 1 States that Damascus will be taken away from being a city and become a ruinous heap this has not happened yet, but will very soon!! 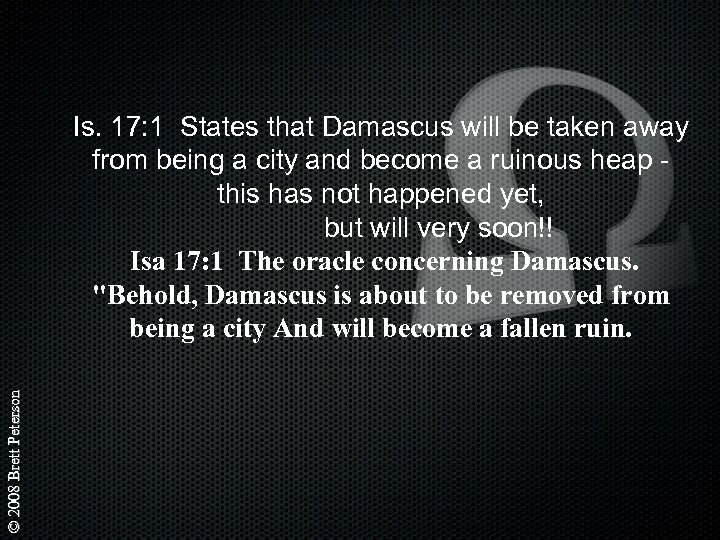 Isa 17: 1 The oracle concerning Damascus. "Behold, Damascus is about to be removed from being a city And will become a fallen ruin. © 2008 Brett Peterson In 1973, Israel came with 20 kilometers of Damascus - Russia stepped in and informed the world that if they continue, it will be world war three. 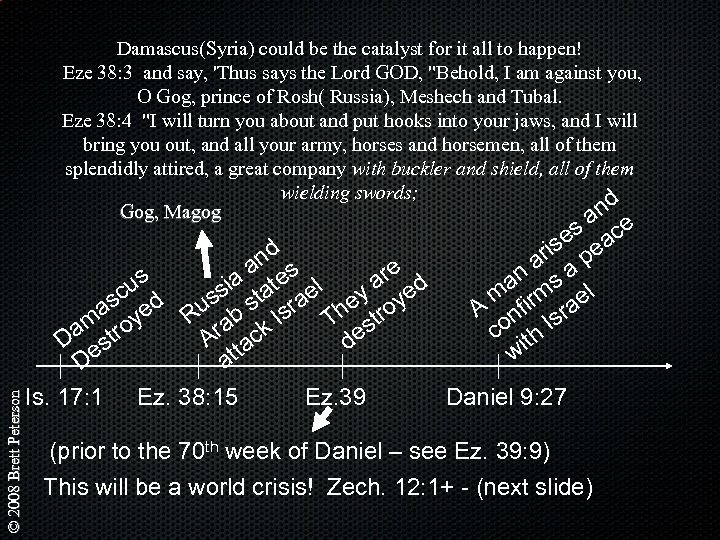 If Israel had destroyed Damascus then, this prophecy could not have been fulfilled! Additionally, Russia is backing Damascus - when Damascus attacks Israel again, it will be destroyed, and it will cause the prophecies in Ez. 38 and 39 to be fulfilled - Russia, the bear of the north along with Muslim nations will be forced to attack Israel, but God will intervene! Mat 24: 3 As He was sitting on the Mount of Olives, the disciples came to Him privately, saying, "Tell us, when will these things happen, and what will be the sign of Your coming, and of the end of the age? 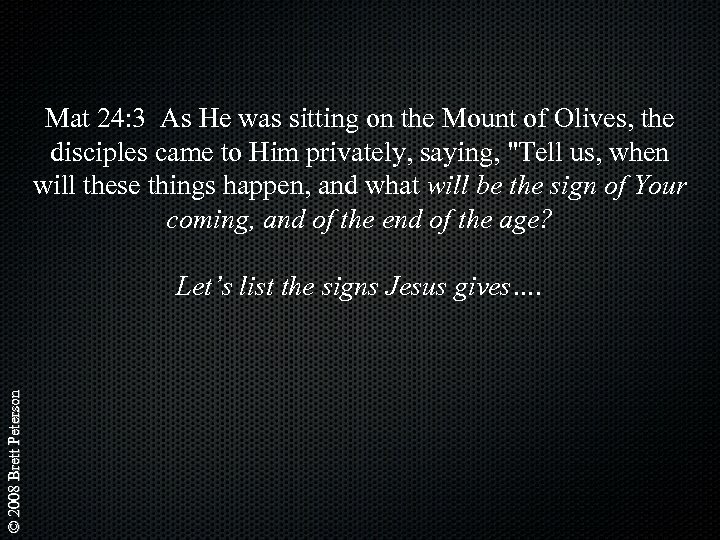 © 2008 Brett Peterson Let’s list the signs Jesus gives…. © 2008 Brett Peterson 1. 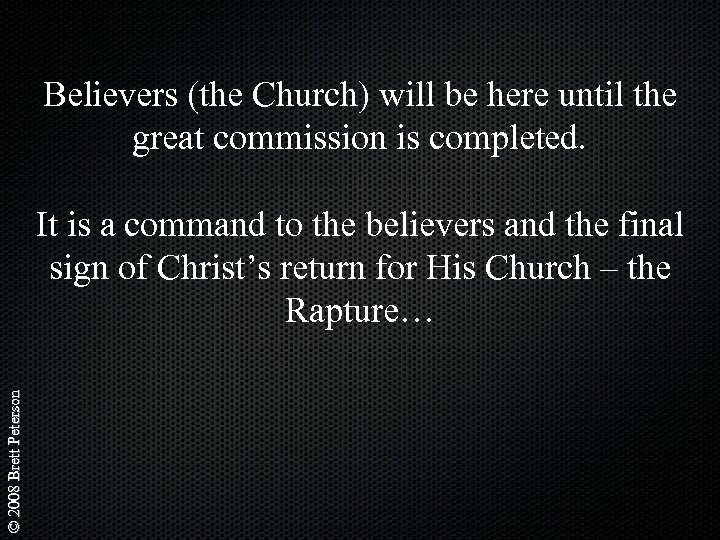 False teachers, false prophets, false christ’s, truth compromised 2. 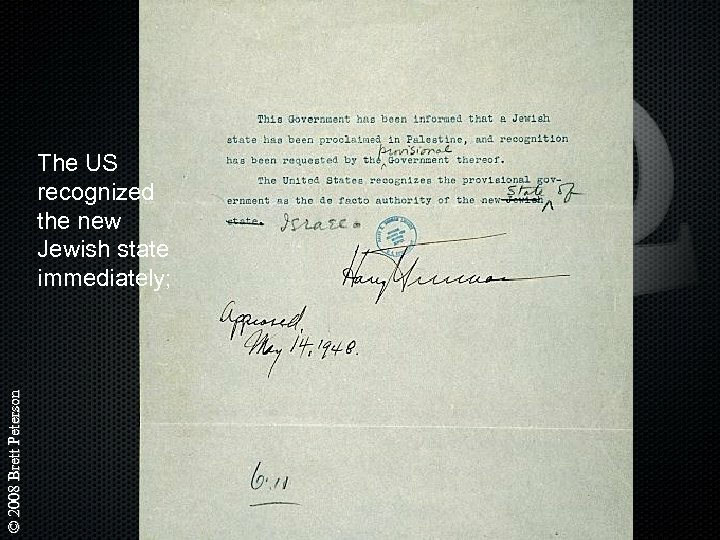 Wars and Rumors of wars (World war I – 1914) Nation against nation, Kingdom against kingdom 3. Famines and earthquakes in diverse places 4. 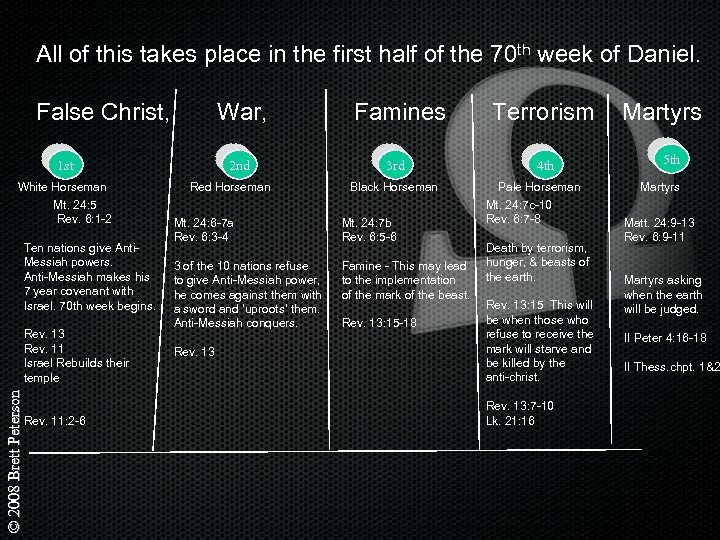 Famine, drought, earthquakes, wild animals, sword(terrorism) 5. Persecution of the Church – Christians will be hated by all nations - martyrs 6. 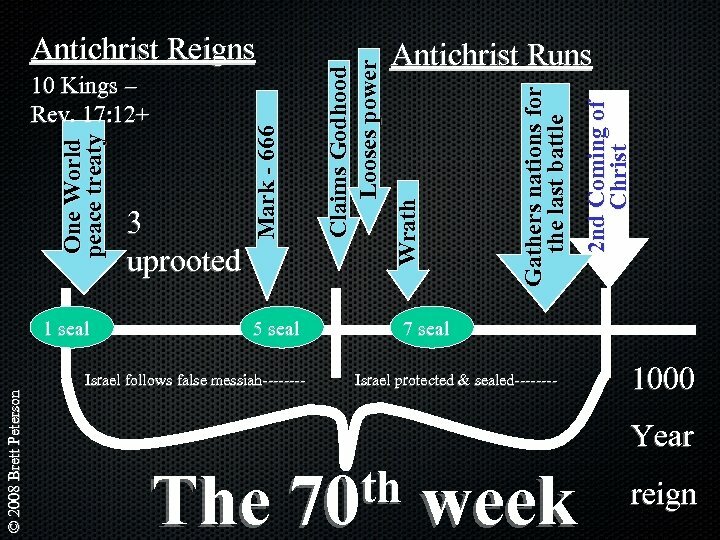 Apostasy – the falling away from truth 7. Agape love will grow cold, people will love themselves & pleasure instead of Jesus and His Bride, the Church 8. 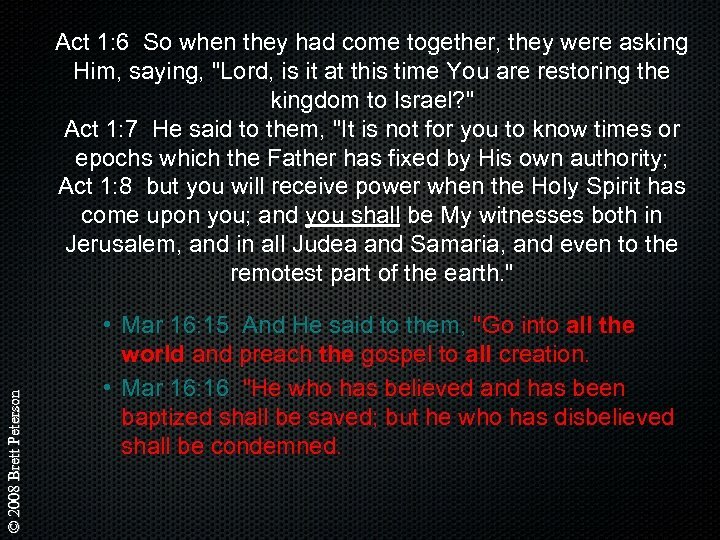 Fulfillment of the great commission… • Mat 24: 13 "But the one who endures to the end, he will be saved. 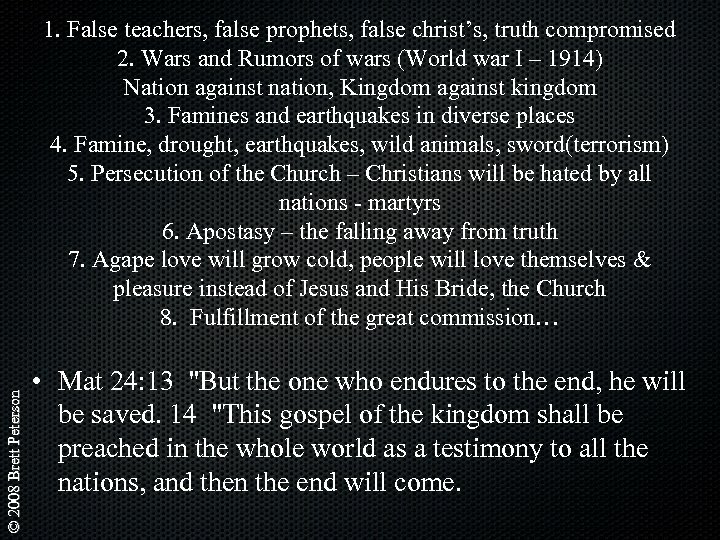 14 "This gospel of the kingdom shall be preached in the whole world as a testimony to all the nations, and then the end will come. © 2008 Brett Peterson Matt: 24: 33 So, you too, when you see all these things, recognize that He is near, right at the door. 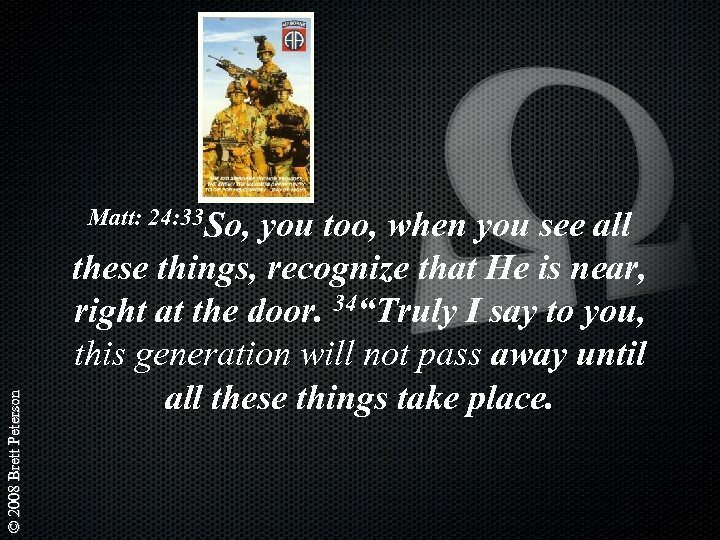 34“Truly I say to you, this generation will not pass away until all these things take place. © 2008 Brett Peterson 1 Co 15: 19 If we have hoped in Messiah in this life only, we are of all men most to be pitied. 1 Co 15: 20 But now Messiah has been raised from the dead, the first fruits of those who are asleep. 1 Co 15: 21 For since by a man came death, by a man also came the resurrection of the dead. 1 Co 15: 22 For as in Adam all die, so also in Messiah all will be made alive. 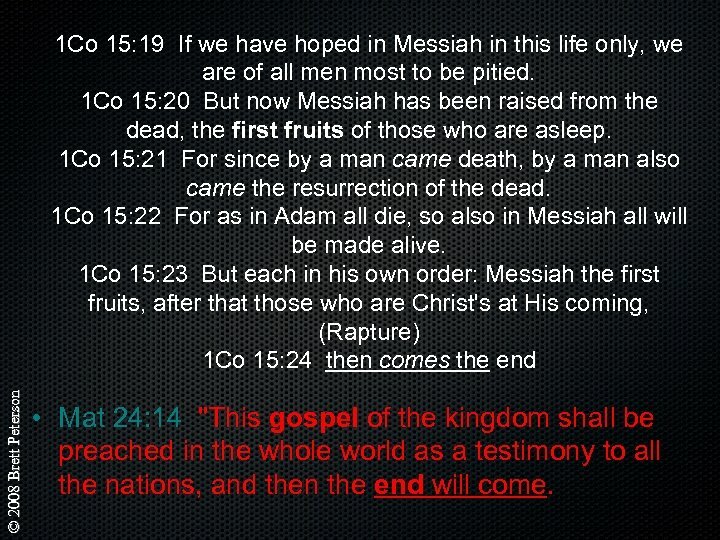 1 Co 15: 23 But each in his own order: Messiah the first fruits, after that those who are Christ's at His coming, (Rapture) 1 Co 15: 24 then comes the end • Mat 24: 14 "This gospel of the kingdom shall be preached in the whole world as a testimony to all the nations, and then the end will come. 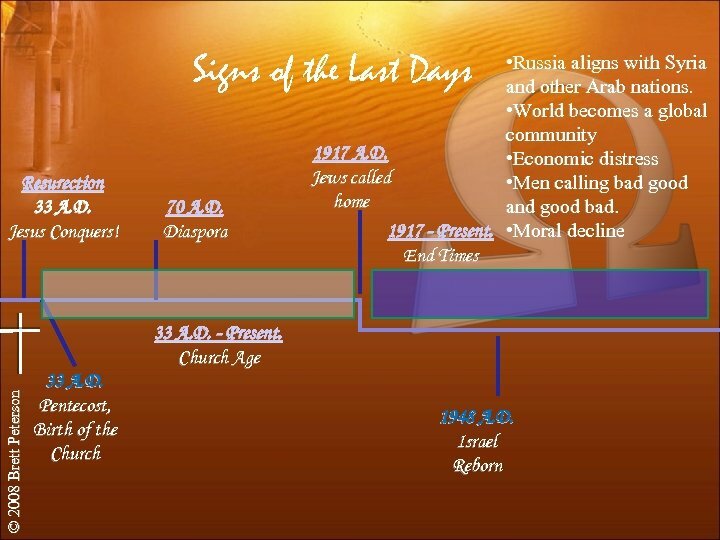 Note that the ‘end’ is the end of the © 2008 Brett Peterson 1 Co 15: 19 If we have hoped in Messiah in this life only, we believers age. This happens at the Rapture are of all men most to be pitied. 1 Co 15: 20 But now Messiah has been raised from the of the believers. The “fullness of the dead, the first fruits of those who are asleep. 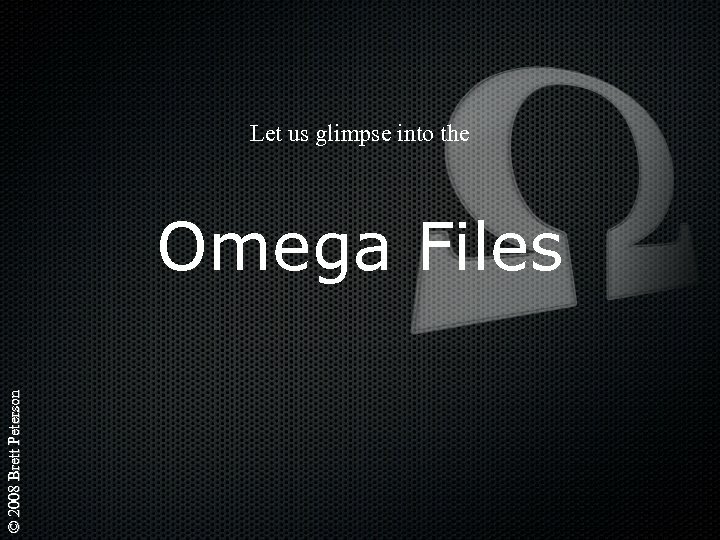 Gentiles” have come in. The end is when also 1 Co 15: 21 For since by a man came death, by a man we have taken the Gospel to all nations. came the resurrection of the dead. 1 Co 15: 22 For as in Adam all die, so also in Messiah all will be made alive. 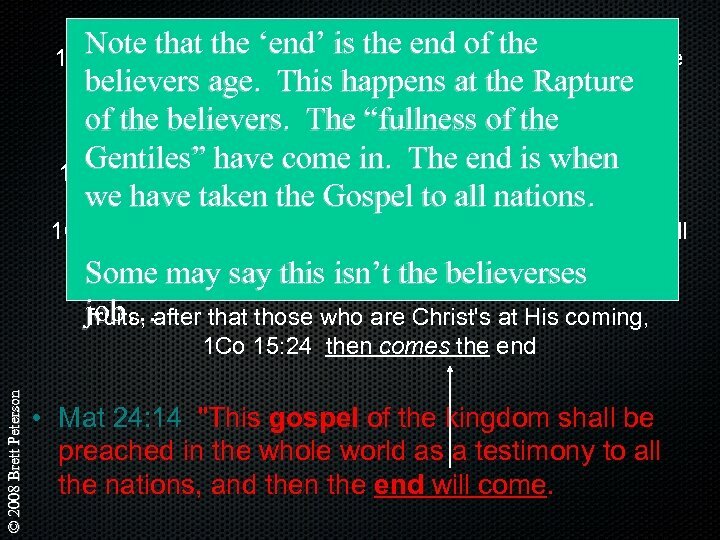 Some may say this isn’t the believerses first 1 Co 15: 23 But each in his own order: Messiah the job…after that those who are Christ's at His coming, fruits, 1 Co 15: 24 then comes the end • Mat 24: 14 "This gospel of the kingdom shall be preached in the whole world as a testimony to all the nations, and then the end will come. 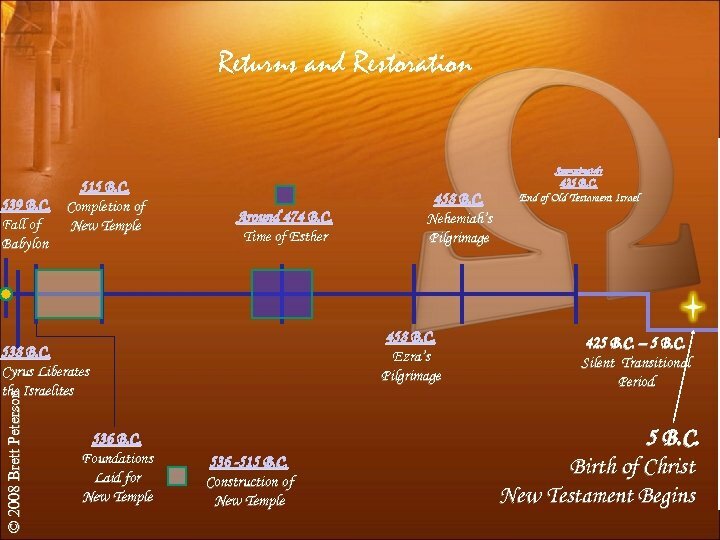 © 2008 Brett Peterson Act 1: 6 So when they had come together, they were asking Him, saying, "Lord, is it at this time You are restoring the kingdom to Israel? " 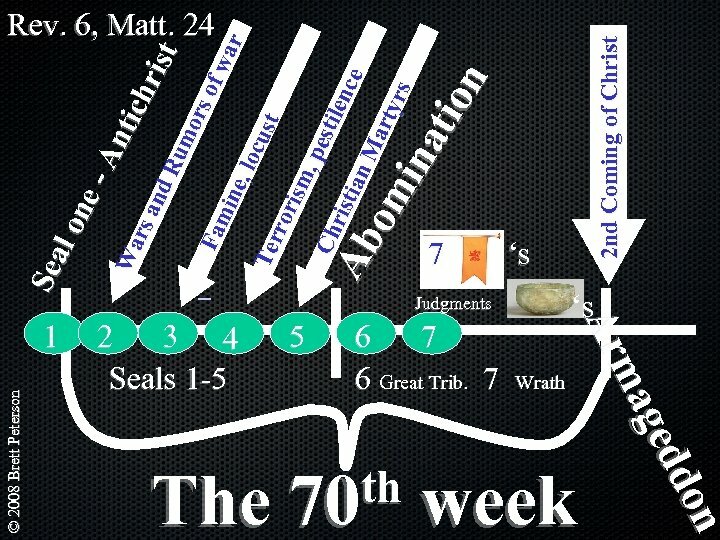 Act 1: 7 He said to them, "It is not for you to know times or epochs which the Father has fixed by His own authority; Act 1: 8 but you will receive power when the Holy Spirit has come upon you; and you shall be My witnesses both in Jerusalem, and in all Judea and Samaria, and even to the remotest part of the earth. " • Mar 16: 15 And He said to them, "Go into all the world and preach the gospel to all creation. • Mar 16: 16 "He who has believed and has been baptized shall be saved; but he who has disbelieved shall be condemned. 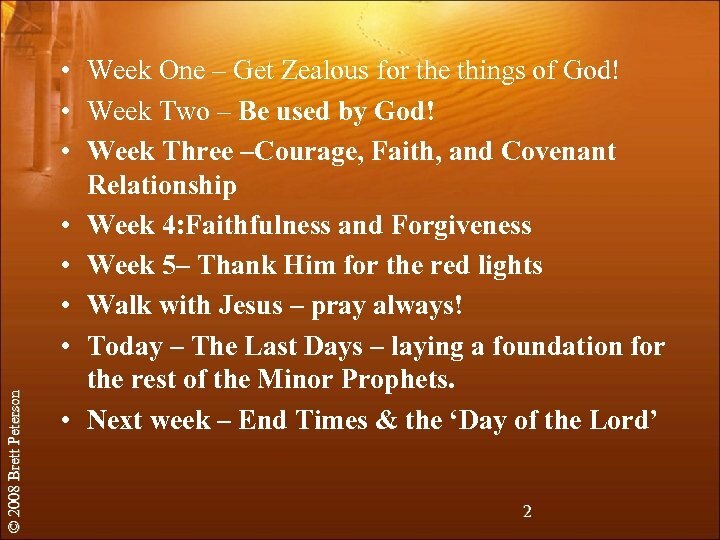 © 2008 Brett Peterson 1 Th 5: 2 For yourselves know full well that the day of the Lord will come just like a thief in the night. 1 Th 5: 3 While they are saying, "Peace and safety!" then destruction will come upon them suddenly like labor pains upon a woman with child, and they will not escape. 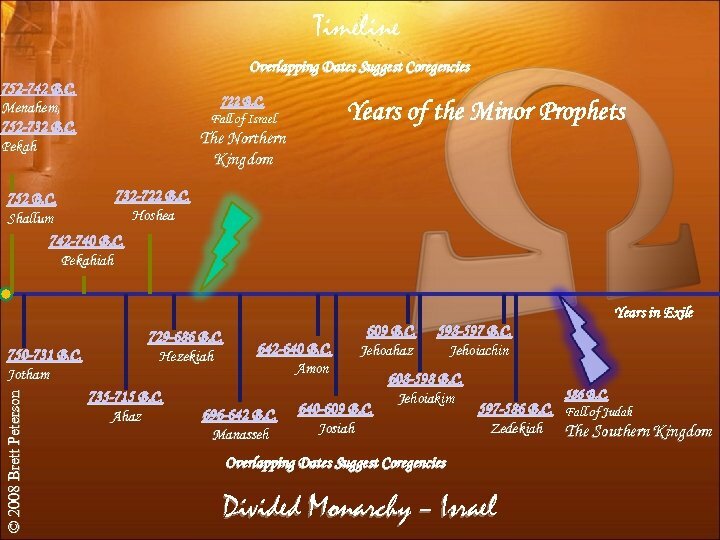 1 Th 5: 4 But you, brethren, are not in darkness, that the day would overtake you like a thief; 1 Th 5: 5 for you are all sons of light and sons of day. 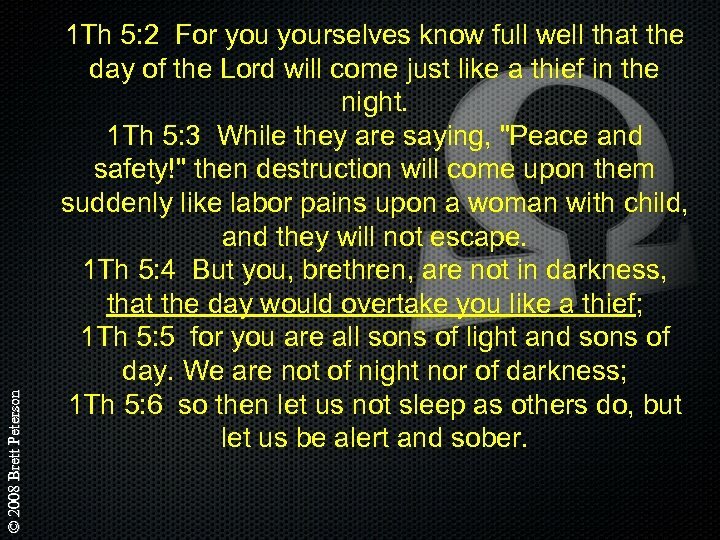 We are not of night nor of darkness; 1 Th 5: 6 so then let us not sleep as others do, but let us be alert and sober.